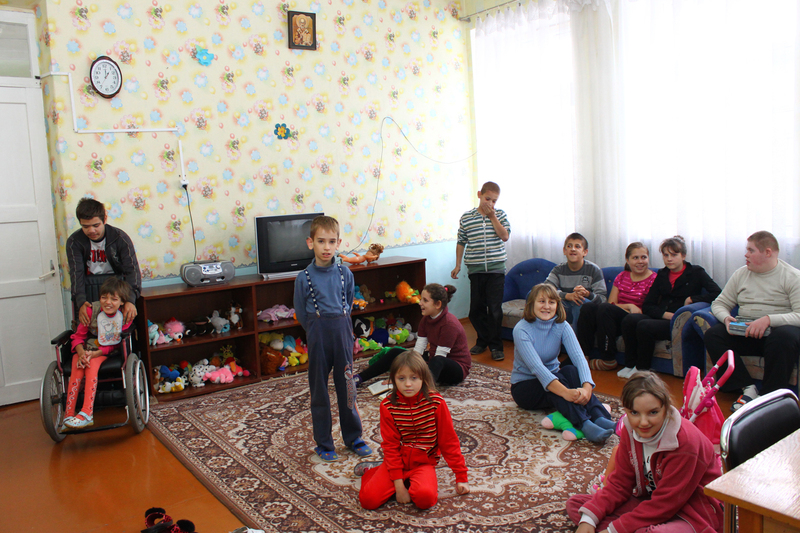 Center of assistance to orphan children and professional rehabilitation of disabled persons in Uman was created in 2001 in order to provide quality education and professional training in life skills for children without parental care and persons with special needs, children who leave home and are preparing for adult life in the community. Without appropriate conditions the mentioned categories of people (youth and adults) are unable to be integrated into society, to be employed and be full citizens of their country. 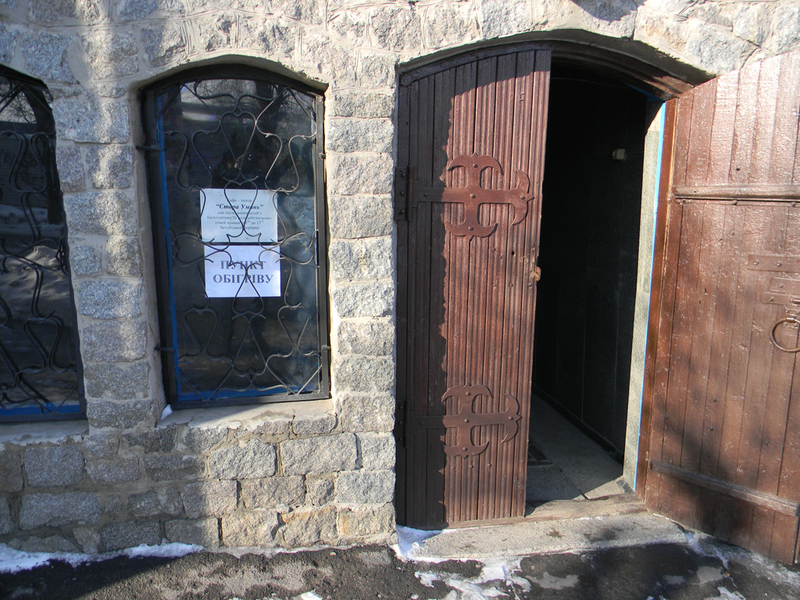 In Uman live 87,850 citizens: Among them 120 orphans at Children’s home, more than 5000 disabled adults, 309 young children – special needs, 307 disabled (over 18 years). Every year the population that needs social services increases: the disabled, poor and large families, orphans and the homeless. The purpose of the project is the improvement of opportunities for professional training and to receive professional education, life skills development, improved physical health and future employment of children deprived of parental care and people with disabilities. Thanks for kind donations: Richard & Rebecca Soverns, Tanya Lebedeva, Carney Reinvault & Ed Kaminsky, Leonard Lan, Anonymous, Elizabeth Randall, Tatia McMillen, Google, Bateau Bridal Boutique, Auto Pre Start Checklist, Carlo Scevola & Partners, Vadim Berman, Virginia da Costa, Francisco Escobar, Olga Ivleva, Mak Wai Lun, Motorola Foundation, Irina Ikatova, Aixin Liu, Tom & Lee Santilli, Martha Rios, Robin Williams, Heidi Zimmerman, Valeria Johnson, Aimee Soverns, William Soverns, GEICO Philanthropic Foundation, Pre Start Checklist, Mirador One, Yuliya Smyk, Grant Knox, GE Foundation, Oracle Matching Gifts, technoza.com, David Blackburn, Oleksiy Khomenko, Wells Fargo Community Support, Natalia Anenkova, Yulia Shumilova, Alans Online, Steve Broos, Alena DavidoffGore, Thomas Slanover, Nikolay Glushnev, Marci Iverson, Julie Humphrey, Donna Finch, Orphan Charity Foundation, PF Exams, CS&P Fiduciaire, Esfuerzo y Dedicacion, Cyndi Huculak, Galina Desiatnikov, Kristina from Mariupol, Capmark Finance Inc, Just Give, Yuri & Janice Prokopenko, Andrew Timshin, Anna Godes, Daniel Genrich, Gabriella Savelli, OrphansLink, Natalia Ryndina, Techno-Tutors LLC, Jennifer Arey, Silvia Monros Pedrgosa, Liam Padden, Allstate Giving Campaign, Rohit & Amanda Setty, Jonathan Soverns, Balloon Lab, Inc, Sania Baqai, Grigori Gorelov, Network For Good, Karim Rachadi, Rochelle Sylvester, Charles & Kristin Groh (In Honor of Luka Savas), PayPal Giving Fund, United Way Capital Area, Tatyana Kogan, and our own permanent fund: Adam Sheda Memorial Fund.Relief Fund.Step By Step Program.